from Africa, India and Europe. 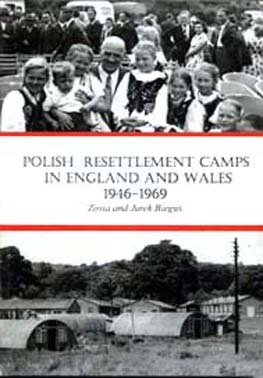 This book documents the experience of living in Polish resettlement camps in England and Wales after WW2. It is a photographic record of events in the camps brought to life in personal stories by past residents. In 75,000 words and 700 images the book covers thirty camps and six Polish boarding schools. Why were they here after WW2? Following the defeat of the Polish army by the joint forces of Hitler’s Germany and Stalin’s USSR in September 1939, an order went out for Polish soldiers to make their way, as best they could, to France where a Polish Government in Exile was formed under the premiership of gen. Sikorski and a Polish army was being assembled to continue fighting alongside Poland’s allies – Britain and France. The army that formed in France participated in the abortive Narvik campaign and, following the defeat of France in 1940, evacuated to Britain. Those that didn’t make it across Italy to France headed for Syria where they were formed into the Carpathian Rifle Brigade which later fought at Tobruk. In the meantime Stalin was consolidating his hold on the part of Poland that the Soviet Union had annexed under the Ribbentrop – Molotov pact by deporting to Siberia anyone thought likely to resist the annexation . By the time Hitler attacked the Soviet Union on 22nd June 1941 close to a million Poles had been deported. Germany’s attack on the Soviets brought them into the Allied camp together with Britain and Poland, consequently, Stalin agreed to a Polish army being formed in the USSR. A so called “amnesty” for all Poles in Prisoner of War Camps, NKVD Prisons and in Soviet Exile was declared and all those who heard of the “amnesty”, and were able to undertake the journey, set out for the recruitment centres. In 1942 the army and its dependents left the Soviet Union for Persia (Iran) to be re-equipped and made ready for battle. The Polish Armed Forces in Exile thus became the third largest fighting force in the West after Britain and America. Their Battle Honours include Narvik, the Battle of Britain, Battle of the Atlantic, Tobruk, Monte Cassino, Normandy and Arnhem. The political settlement between Roosevelt, Stalin and Churchill meant that when the war ended the Soviets annexed Eastern Poland and incorporated it into the Soviet Union while the rest of Poland became a puppet state with a communist government imposed by Russia. The vast majority of Poles rejected this settlement and chose to remain in The West where they could continue the political struggle for an independent Poland while maintaining their language, culture, and traditions for an eventual return to their homeland. Some 250,000 chose to remain in Britain and were joined by their families and dependents from wherever the fortunes of war had left them. By far the largest number were those who, having escaped from Siberia with the Polish Army in 1942, had spent the war in Displaced Persons camps set up by the British in India and West Africa. The only way such numbers could be accommodated was by placing them in camps recently vacated by the Americans and Canadians. There were many such camps in the UK most were built in the early 40s in rural areas, often in the grounds of large country estates, as Military Hospitals, Army Bases and Airfields. 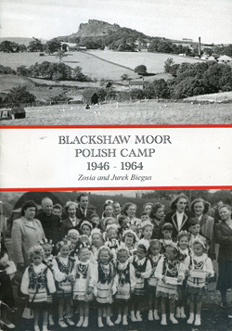 A Polish Resettlement Corps (PRC) was raised in 1946 as a corps of the British Army into which Poles were enlisted for the period of their demobilization up to 1948. 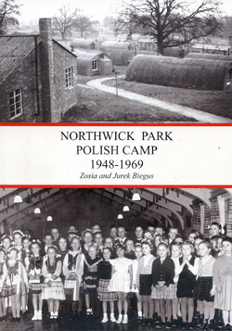 The camps in the UK were given up by the MOD for housing Polish Families and they were administered by a number of organisations; National Assistance Board, Local Authorities and the National Service Hostels Corporation being the principal ones. Some were hostels for single working men and a handful were Polish boarding schools run by the Committee for the Education of Poles. 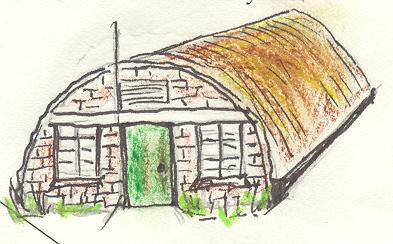 There were also a number of Polish Hospitals, the best known was Hospital no.3 in Penley North Wales. As people were finding their feet, many moved out of the camps in search of better work and accommodation. A large number, with help from the authorities, emigrated to the USA, Australia, New Zealand, Canada and Argentina. The camps were slowly closing and families were moved from camp to camp so that by the mid 1950-s the 200 odd camps had dwindled to around 50 and by the mid 1960-s there were just a handful left. Northwick Park camp in Gloucestershire closed in 1970 when the last family was moved to Stover Park camp which became a hospice and home for the elderly. I lived in a DP camp for 15 years and you can follow my experience by clicking on the Life in a typical Polish DP Camp I am particularly interested in camps that were home to Polish families and you can see the information that I have been able to gather on List and information of other CAMPS I would be most grateful for any information, personal stories and photographs of these camps. It would be sad if we allowed the history of our parents' generation go unrecorded. Please request permission before reproducing any content from this site.